Who is Making The Shirt 2017? Positive impact begins long before the first Shirt sells. Learn more about the company producing Notre Dame’s favorite tradition! The 2017 Shirt is being produced by the one of the largest collegiate apparel companies in the U.S., Colosseum Athletics. Along with a strong reputation for quality and value, Colosseum is also a leader in social responsibility and ethical practice! As we reflect on the impact and importance of the charitable aspect of The Shirt Project-and anxiously await the big color and design reveal-let’s take a moment to look at the positive impact Colosseum is making behind the scenes, in the factory where The Shirt is being produced. 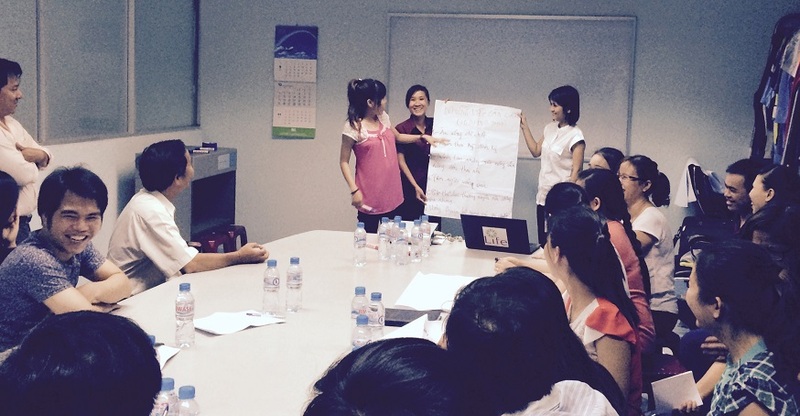 Empowering women, improving health: Colosseum has partnered with local Vietnamese NGO LIFE Centre to implement a health education project in their factory based on the HERproject initiative. Their efforts to educate and improve the lives of low-income women in supply chains have included education programs in pre- and post- natal care, breast cancer prevention and detection, nutrition, and more. The two year program continues with the help of a specialized health team, and is changing the lives of women in supply chains! 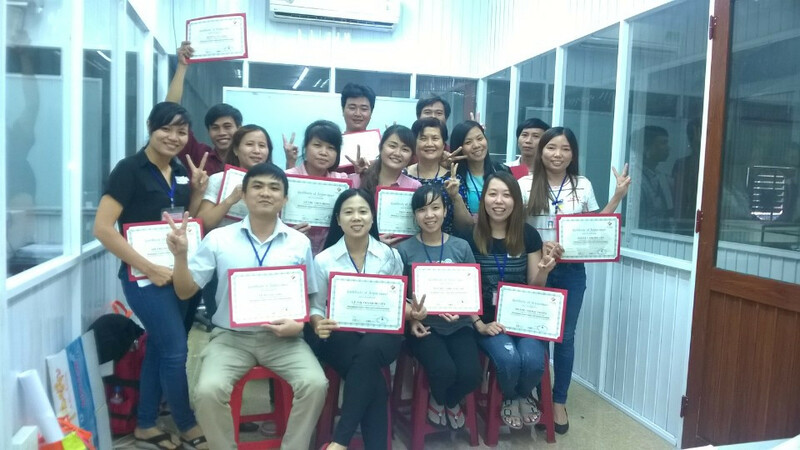 Fostering communication: Colosseum has partnered with Better Work Vietnam and provided a workshop at the factory to improve communication between union workers and management. Involvement with UNICEF: Colosseum’s factory was one of only 4 in Vietnam to participate in an initial assessment from UNICEF and Save the Children Vietnam. This new program moving into Vietnam has been established to assess the current practices in factories and strengthen and improve principles related to child rights. Colosseum looks forward to continued assessments and involvement with these organizations! The Shirt is one of Notre Dame’s favorite traditions, and its charitable aspect changes the lives of students. 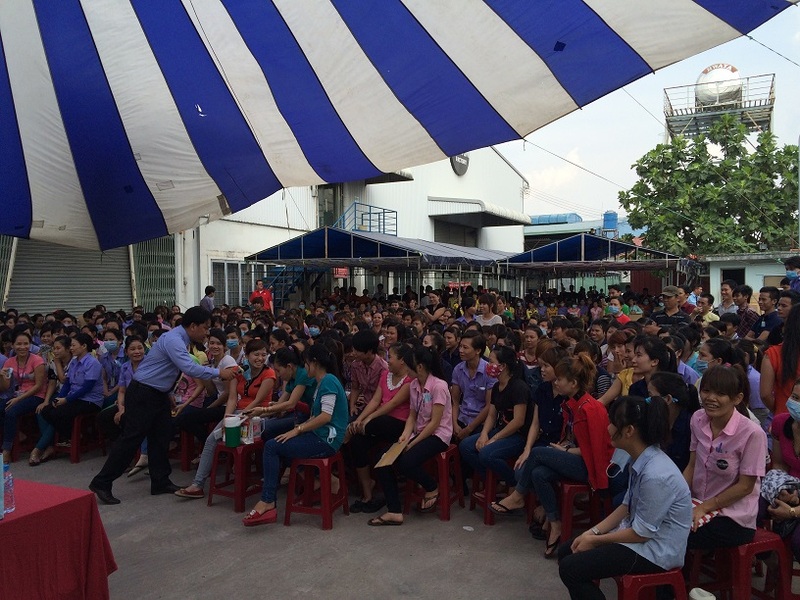 Thanks to the efforts made by Colosseum, The Shirt can also change the lives of global supply chain workers in Vietnam. Stay tuned for the 2017 Shirt unveiling on April 21st! The Shirt will be sold at the Hammes Notre Dame Bookstore! Preorder yours now here. Tomi Gerhold, the Associate Director of Licensing at the University of Notre Dame, recently traveled to El Salvador to visit the League Collegiate Outfitters factory. She gained an insider’s perspective of a company that is redefining “employee benefits”. League Collegiate Outfitters has partnered with local organizations to implement a gang rehabilitation program. Former gang members in El Salvador find obtaining a job nearly impossible, but by joining this program they have the opportunity to change the course of their lives. Former gang members that have entered into the League program have become some of the company’s most productive employees. Employees at League have access to a full-service medical clinic and pharmacy housed inside the American Park (industrial business park) where League is located. 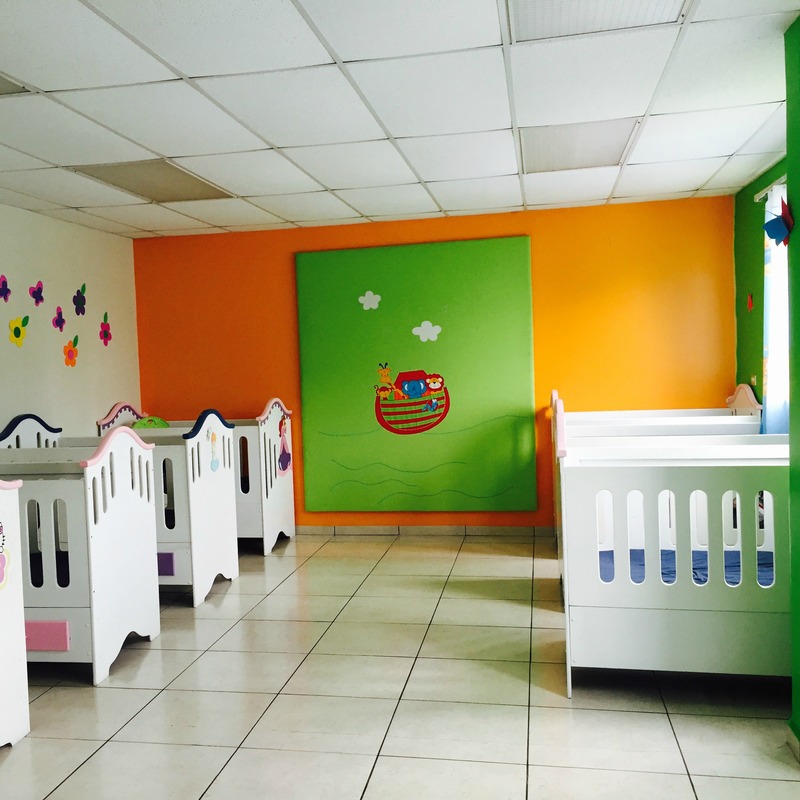 League and the American Park offer parents an affordable on-site daycare facility during work hours. Employees are able to work full-time and know that their children are safe and looked after. Employees are given breakfast and lunch every day in the factory’s cafeteria. Meals are subsidized by the company and the employees pay a very affordable portion of the meals. Each employee is allotted 30 minutes each day to participate in English classes at no charge. 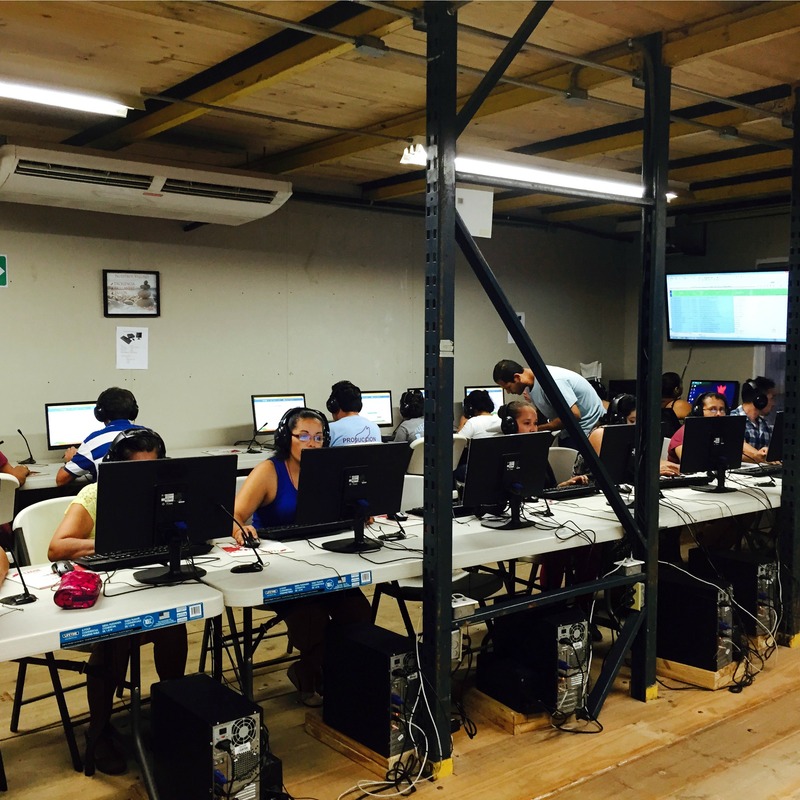 The classroom in the factory is fully equipped with computers, and is air conditioned and comfortable. Learning English can sometimes be an avenue for career advancement. The League factory partners with the Ministry of Education to provide workers with an optional after-hours education program. League employees can work toward their high school degree. Classes from 1st through 6th grade are taught by company management that volunteer their time. Employees entering 7th grade through graduation are taught by certified teachers. League Collegiate Outfitters provides employment opportunities for people with disabilities. There are very few factories in the area that are accessible for individuals in wheelchairs, but League has made this a priority. To go a step further, the company has built an accessible housing facility near the factory for these employees, and provides daily transportation to and from work. League workers who have borrowed money have often found themselves involved with aggressive loan “sharks”. League Collegiate Outfitters has established a savings and loan, which will pay off the loan sharks and allow employees to make payments at a lower interest rate. League Collegiate Outfitters is in the process of acquiring an abandoned housing development near the factory. Approximately 83 homes will be completed and renovated, and made available for League employees to purchase via reasonable mortgage and interest rates. 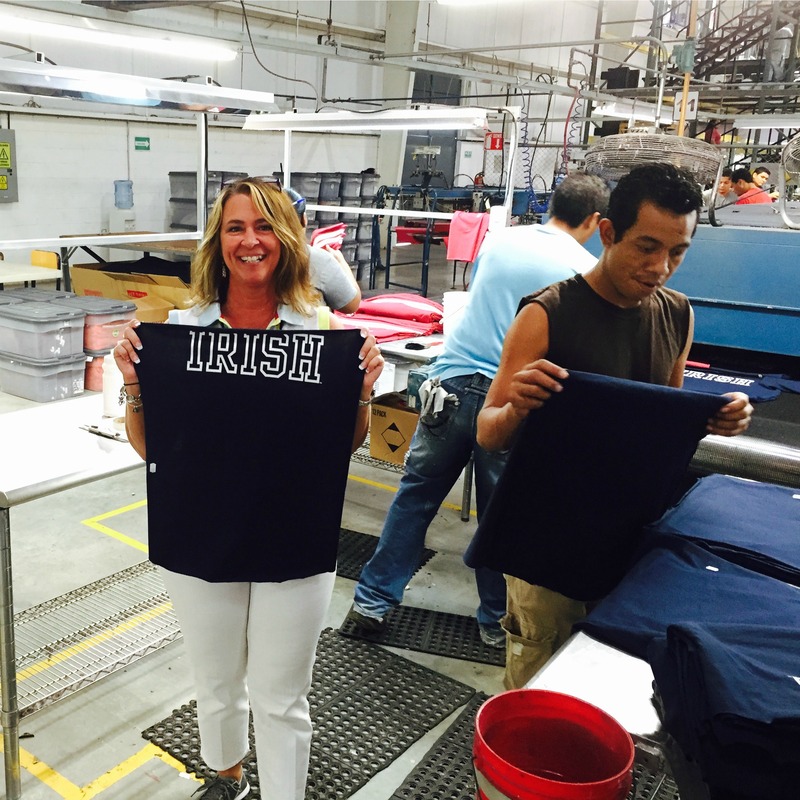 Tomi Gerhold with League factory workers as officially licensed Notre Dame shirts are being made. Find League Collegiate apparel and accessories at Hammes Notre Dame Bookstore. How Christian Estrada, Notre Dame Class of 2014 and founder of Custom Elevation, is elevating artisans in Nicaragua out of poverty. “To be completely honest, I really had no idea what I was doing when I was getting started,” said Christian Estrada, a 2014 Notre Dame graduate and founder of Custom Elevation, in a recent interview. That’s exactly why building a business is so complicated and wonderful; you can’t know everything you will need to know until you dive in. With the right combination of passion, a great idea, and the drive to see it through, anything is possible. Christian Estrada was born and raised in Nicaragua, where he was exposed to a level of poverty that starkly contrasted the environment he encountered as a Notre Dame student. 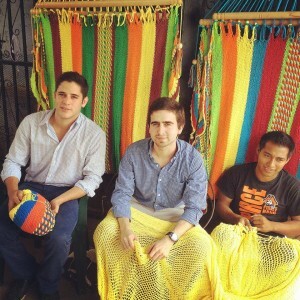 Artisans in Nicaragua are known for their intricately handwoven hammocks, a skill passed down through generations. 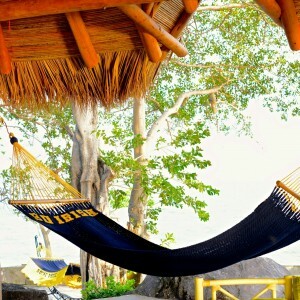 “Everyone in Nicaragua has hammocks. My parents had several in the house and three set up in the trees outside,” Christian told us. Due to the competitive, crowded nature of this market, the highly skilled artisans often struggle to make a living. Christian, along with co-founders Roberto Pellas and David Kenney, decided to find a way to elevate these artisans out of poverty. The three Notre Dame undergraduate students worked with artisans to create a diverse product offering, including wine caddies, hammocks and handbags, and developed a plan to sell the products in the U.S. where they could demand a fair price. To differentiate the products from other fair trade items, they decided to pursue a license with Notre Dame. In order to be approved for a license with Notre Dame, all vendors must provide detailed manufacturing information, marketing plan, and distribution strategy, affiliate with the Fair Labor Association, and adopt the Notre Dame Labor Code of Conduct. Custom Elevation also needed to establish a relationship with Follett Higher Education Group, the managing company for Hammes Notre Dame Bookstore, where they hoped to sell their products. Christian, Roberto and David began working closely with Notre Dame faculty in the summer of 2012 to develop a business plan that would satisfy all of the requirements for a Notre Dame license. “The professors at Notre Dame are open to helping in any way they can. I was able to incorporate the project into my degree in at least 4 classes. I was also allowed to use Custom Elevation as my capstone project,” said Christian. One of the faculty members who worked closely with the Christian during this process was Michael Vogel. Michael is an Entrepreneur in Residence at the University of Notre Dame Gigot Center for Entrepreneurship, and helps students, alumni and faculty navigate their business ideas. He talks through new concepts and provides guidance on funding, viability, patents, trademarks, etc. It took over six months to complete the process, but on November 7, 2012, Christian received his Notre Dame License from the Collegiate Licensing Company. While pursuing the Notre Dame license, Christian had the opportunity to meet Joe Bozich, founder of Alta Gracia Apparel. He was inspired by Joe’s commitment to paying workers a living wage, and wanted to make a similar impact on the artisans of Custom Elevation. Christian told us that Custom Elevation is currently able to pay their artisans 240% above the Nicaraguan minimum wage, and this is having a profound impact. These workers are able to afford better education, food and housing. One artisan used his earnings to remodel his home, and another was able to purchase a computer so that his daughter could pursue her academic goals. Christian, Roberto and David have since graduated from Notre Dame, but the journey for Custom Elevation is just beginning. When we asked Christian “what’s next” for the company, his answer was directly in line with their mission. Custom Elevation is poised for expansion, but the owners have chosen to first invest in facility and machinery improvements. Their first priority is always the health, safety and happiness of the company’s most valuable asset: the artisans. Find handmade wine caddies and hammocks at Hammes Notre Dame Bookstore. Take a look behind the scenes at Custom Elevation. Raise your hand if you do NOT own a t-shirt. Anyone? Anyone? …Bueller? Whether it’s something you throw on to relax on the weekend, or it’s the beginning and end of your entire wardrobe, t-shirts are everywhere. But they are not all created equal. What if we told you that you could make a tangible, measurable difference in someone’s life by simply choosing to purchase a particular brand? Sounds almost too easy, right? The brand we’re talking about is Alta Gracia, a label that you can find on the racks at Hammes Notre Dame Bookstore. You might be thinking: “That’s a very nice concept, but it’s still $18.00 for a t-shirt.” Here is our challenge: by the end of this article we will convince you that it’s more than worth it. We’ve all seen the headlines and heard stories about appalling conditions and wages that riddle the apparel manufacturing industry. Child labor, forced overtime, alarming working conditions – all in an effort to cut costs and grab a larger piece of the pie. Before Alta Gracia was founded, the average clothing worker in the Dominican Republic was barely paid minimum wage, which equates to about $150.00 USD per month. 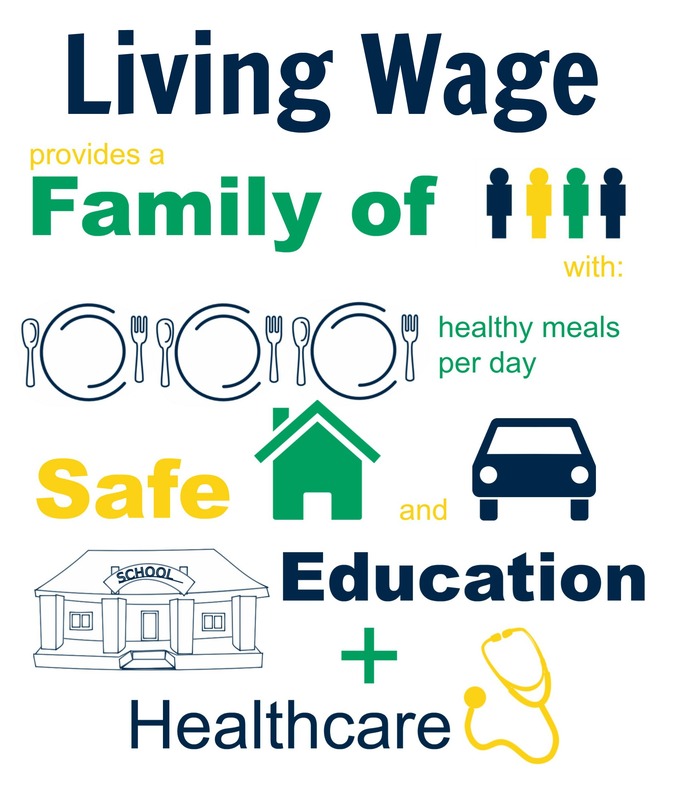 This is hardly an income to feed, clothe and shelter a family, let alone build a life. 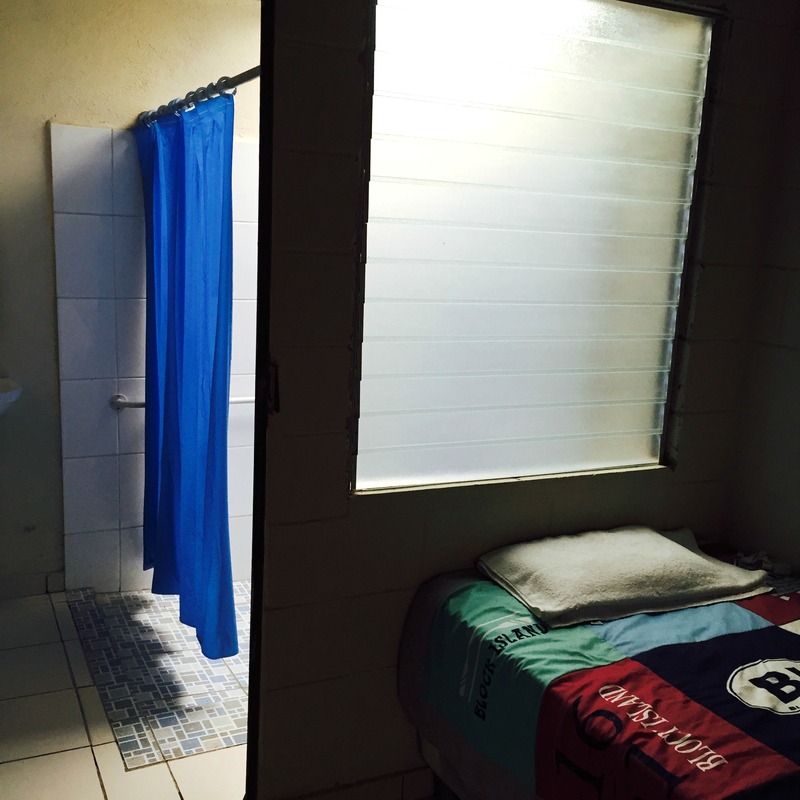 The difference a living wage has made in the lives of Alta Gracia workers is astonishing. 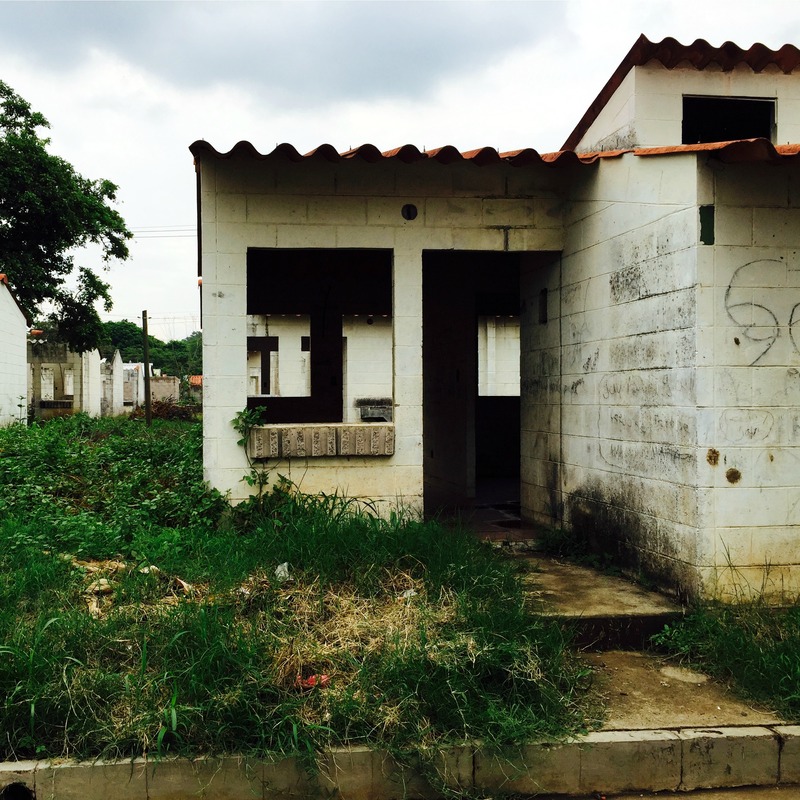 Most houses in Villa Altagracia are made of thin materials and dirt floors, and without the luxury of running water. Many employees have used their income to build a new concrete home for their families and loved ones. 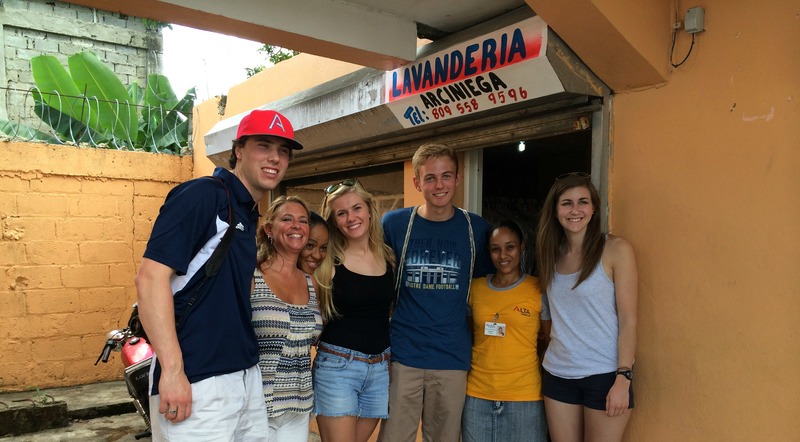 Clary Arciniega, pictured second from the right below, was able to start her own dry-cleaning business on the side and is providing jobs for others in the community. By giving workers the freedom to make a living, Alta Gracia is reshaping the landscape in this small manufacturing town. Clary Arciniega of Alta Gracia, with members of The Shirt Committee 2014 and Tomi Gerhold of Notre Dame Licensing. 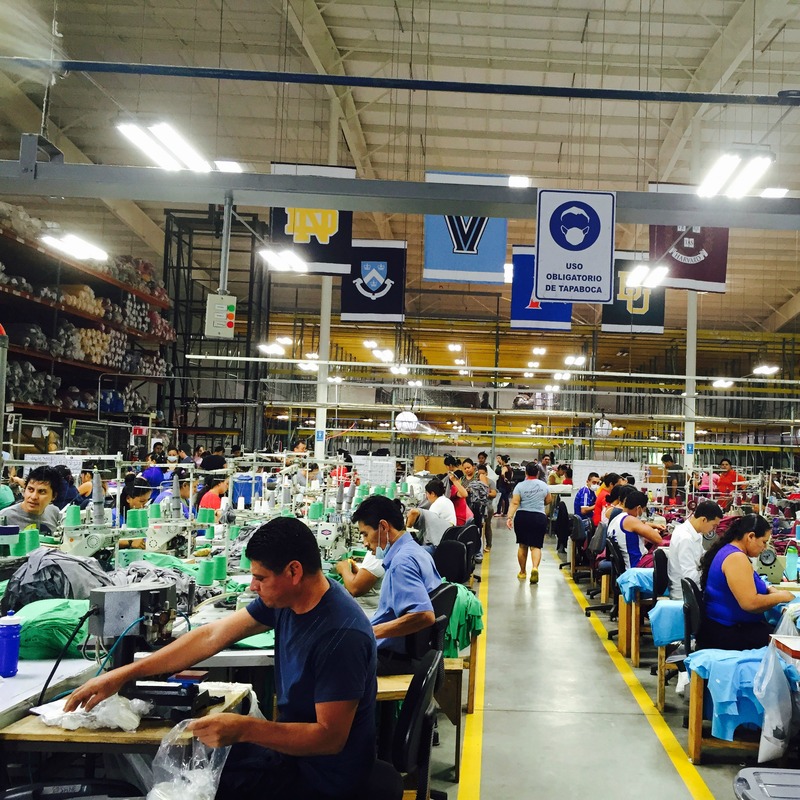 Colleges and Universities across the country are giving a voice to workers in the apparel manufacturing industry, and Notre Dame is at the forefront of this movement. In 2012, The Shirt Committee saw the potential to be a force for good by pairing with Alta Gracia. Over the past 3 years, the project has provided the factory with orders for over 475,000 t-shirts. Then buy an Alta Gracia t-shirt. Plain and simple. Go out and get The Shirt 2016 at Hammes Notre Dame Bookstore, or stay in your pajamas on the couch and shop online. Either way, you’re providing hardworking families the opportunity to pursue their dreams.